Are cities and towns demanding too much from marijuana operators? Senator Patricia D. Jehlen of Somerville in March 2017. Jehlen is one of two state lawmakers urging a crackdown on municipalities demanding excessive payments from marijuana companies seeking to sell locally. Want to open a marijuana business in Massachusetts? Prepare to open your wallet — wide. In Salem, prospective recreational pot operators must first agree to pay the city 3 percent of their annual revenues, ostensibly the maximum fee allowed under Massachusetts law. Then, in order to win local approval, they are also asked to provide an additional 1 percent of revenue annually to fund a feasibility study on a proposed shuttle bus, give $25,000 a year to local charities, and pay for a $50 background check of every manager, owner, and investor — a less-thorough version of the same screening already performed by the state. In Fall River, the fee is 4 percent. In Easthampton, it’s 3 percent or $75,000 annually, whichever is greater. In Brewster, it’s 3 percent plus $40,000 annually to the town and local charities. And after five years, the longest term allowed by law, most of these so-called host community agreements automatically renew, with or without the company’s assent. Two key state lawmakers say they are fed up with such pacts, which they believe are designed to circumvent a legal cap on how much money municipalities can seek from marijuana firms. They have sent a letter urging the Cannabis Control Commission to crack down on the “widespread practice” of cities and towns making excessive payments a condition of local approval. Jehlen and state Representative Mark Cusack, cochairs of the Legislature’s marijuana policy committee, said the local demands fly in the face of state law, threatening to freeze out small businesses and sustain the illicit market. Under the law, no cannabis firm can get a recreational license from the state unless it has signed an agreement with its host municipality. Those contracts typically require the operator to pay the community a cut of revenue, and they spell out security requirements and other conditions. But the law caps any payments at 3 percent of the company’s annual revenue, and even those fees must be “reasonably related” to actual costs the firm brings — expenses such as the licensing process, police calls related to the facility, and so on. The restrictions were intended to prevent a repeat of the municipal rent-seeking seen under the state’s medical marijuana system, which has no caps. In one illustrative example, the CommCan medical marijuana company in Medway agreed to buy the town’s fire department $263,000 worth of breathing apparatus, pay $55,000 annually, and maintain the public road near its cultivation facility. Now, the firm will pay Medway an extra $500,000 over five years to enter the recreational market, a negotiated sum not based on costs related to the facility or revenues. At the state level, the cannabis commission has moved in the opposite direction, setting unusually low licensing fees and launching programs to boost minority-owned companies and small businesses. But critics — including the lawmakers — argue that extravagant demands by municipalities are undermining those efforts. They dismiss arguments by municipal attorneys that the additional payments are voluntary and separate from the formal host community agreements required for licensure, pointing out that they are typically agreed to simultaneously or even in the same contracts. Attorneys for marijuana companies say the current system essentially forces the firms to either agree to excessive payments, try their luck in another community, or sue the municipality — an expensive proposition that also practically guarantees bad relations with local officials. 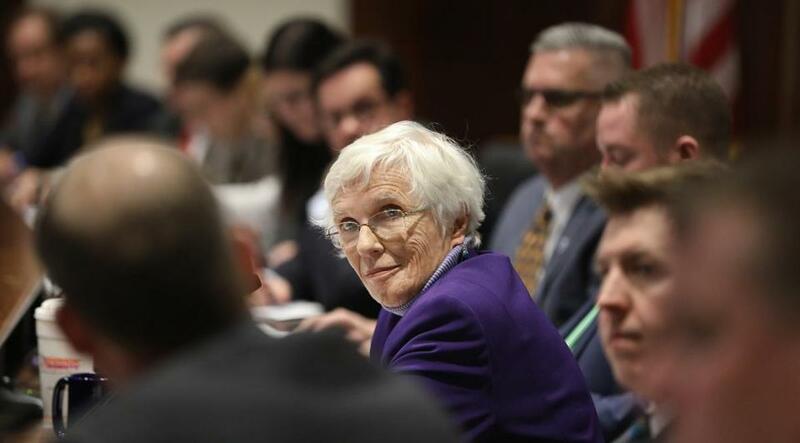 Jehlen and Cusack insisted the cannabis commission is required by law to review all agreements and other payments to ensure they don’t exceed the limit, saying the 3 percent fee was a ceiling intended to cover all municipal expenses. But last December, the commission voted 3-2 after a contentious debate to not review the terms of the contracts when approving license applications; instead, it only checks to make sure a contract has been signed. Jehlen and Cusack say that was a mistake, as questionable deals have now proliferated. “It’s discouraging that the commission doesn’t feel it has any role in enforcing the law,” Jehlen said. On Tuesday, commission Chairman Steve Hoffman sent a letter to Jehlen and Cusack saying he is aware of the concerns and the agency will soon release guidance to municipalities about host community agreements. It is unclear whether the commission will reconsider its policy. Salem officials defended their contract, saying the city has set out a transparent standard for marijuana firms — in contrast to some nearby municipalities that have banned such businesses or that negotiate agreements in secret. They also said the local background checks — with their additional cost — were necessary because the commission doesn’t provide municipalities detailed results of its checks. So far, more than a dozen companies are vying for four retail licenses available in Salem. Driscoll also complained that the 3 percent cap was an “industry-driven” policy passed into law without municipal input. Salem says in its guidance to applicants that any agreement with the city “shall include, at a minimum,” the additional payments — and that they would still be owed even if a court deems them invalid, as mandatory “donations” or “gifts.” Despite that, Driscoll’s chief of staff, Dominick Pangallo, said they aren’t necessarily required. In Fall River, the standard contract calls for marijuana operators to pay the city 4 percent of their revenue. So far, two companies have signed. “It’s certainly a creative reading of the law to think that 4 and 3 are the same number,” Jehlen scoffed. Joseph Macy, Fall River’s top attorney, said the agreements were continuations of earlier contracts with medical marijuana operators. Other municipal attorneys take a narrow view of the 3 percent cap, arguing that it applies only to fees meant to offset the impact on the community. “There’s no language in this [law] that says there can be no other payments reasonably agreed to by two consenting parties,” said attorney Katie Laughman of KP Law, which represents about a third of the 351 cities and towns in Massachusetts. KP Law’s standard host agreement calls for applicants to pay municipalities’ legal costs up front, on top of the full 3 percent cut, plus additional money to local charities. Laughman said it’s standard practice for municipalities to make businesses cover a community’s legal and licensing costs. Cities and towns also cannot readily predict or document the costs of marijuana companies, she added, arguing the public health consequences of making pot widely available remain unknown. Besides, Laughman said, municipalities, in practice, are not simply saying “no” to operators who object to the size of proposed payments — they’re negotiating in good faith. Dan Adams can be reached at daniel.adams@globe.com.